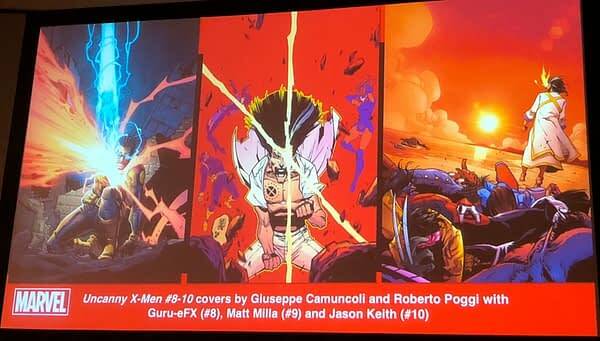 Uncanny X-Men #8-10 Covers Shown Off at NYCC - a New Fall of The Mutants? 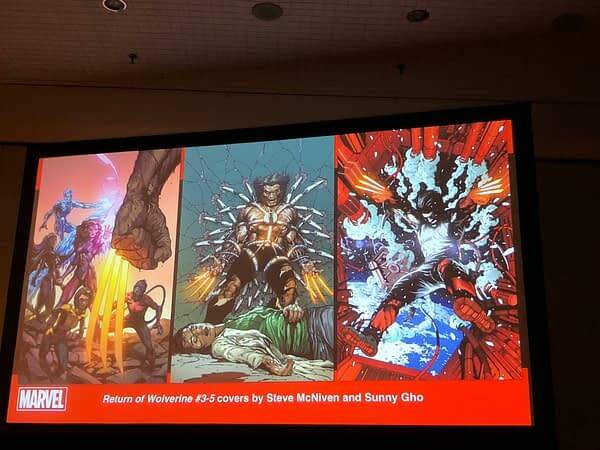 Home » Comics » Uncanny X-Men #8-10 Covers Shown Off at NYCC – a New Fall of The Mutants? Uncanny X-Men #8-10 Covers Shown Off at NYCC – a New Fall of The Mutants? I know that foot fetishist Jude Terror will be poring over these covers of Uncanny X-Men to count the feet. 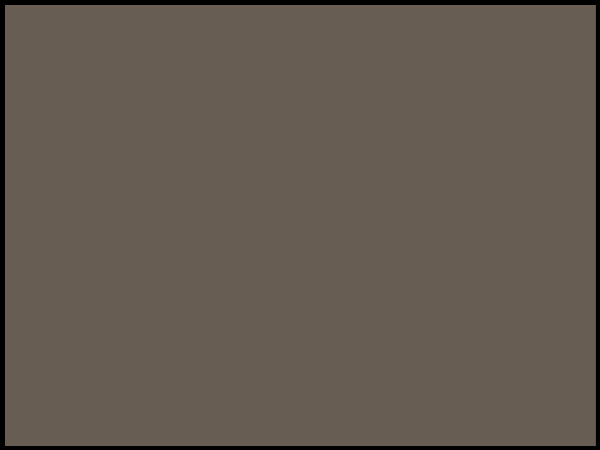 But I am of a higher mind. 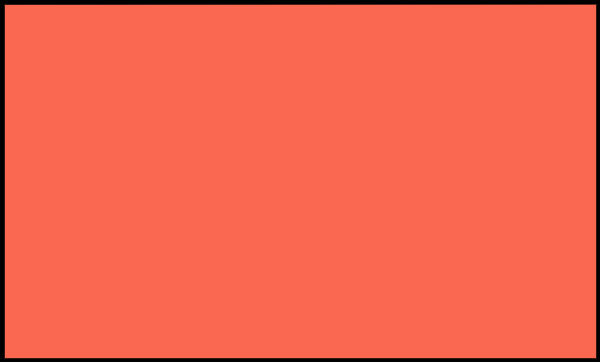 Anyway, we did get a look at the covers to Uncanny X-Men #8, #9 and #10 today at New York Comic Con, with a rather prominent Legion there… and a new Fall of the Mutants? 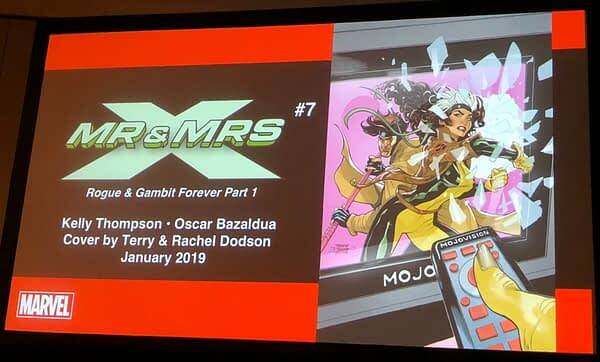 While Rogue and Gambit are engaging in a little defenestration in Mr & Mrs X #7 with a new storyline, Rogue & Gambit Forever. Thanks to Madeline Richiutto at the X-Men panel at New York Comic Con today.